In 2012 I left Edward Jones to start my own firm, Lindsey and Lindsey Wealth Management. I've been happily building my own business ever since. 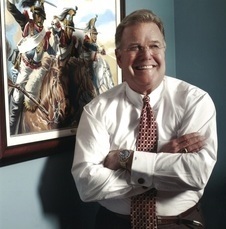 If you'd like to read about my very arduous journey — from being employed by Edward Jones to now being the captain of my own ship — please visit www.TheBoldAdvisor.com now.